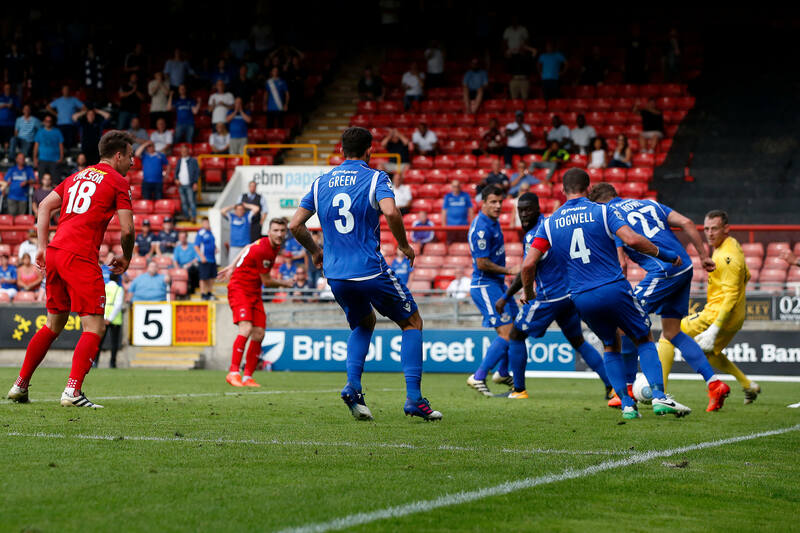 Midfielder Craig Clay scored a 98th minute equaliser for Leyton Orient to rescue a point against Eastleigh Town at Brisbane Road in the National League in a 1-1 draw. Clay, the 25 year old man who came in from Motherwell last month couldn’t have chosen a more important time to score his first goal for the O’s deep into added time to keep Orient in mid table as his close range shot nestled in the back of The Spitfires net. In fact the Nottingham born player scored only his 9th goal in 8 seasons but how crucial could that one be come the end of the season as Eastleigh showed flair and charisma in a performance that has seen them elevated into the top 6 this season. The Hampshire outfit are certainly no mugs and it looked as if former O’s man Ayo Obileye’s first half injury time opener had sealed three points for the visitors. A cracking attendance of 4,353 saw referee Neil Hair add on a whopping 8 minutes of time and Leyton Orient showed some great character to deny Eastleigh as Craig Clay become a last minute hero on the day he started his first full game for the O’s. The former England C International player (yes there is such a team!) could have laid claim to a winner if it weren’t for O’s striker David Mooney wasting a glorious first half chance. On 32 minutes an in form James Dayton picked the ball up on the right and tricked his way past a couple of opponents before Eastleigh’s Sam Wood hauled him down inside the area. Hair had no choice other than to point to the spot and gave Wood a let off with just a booking when a red card may have been deemed more appropriate. O’s club captain Mooney took the spot-kick facing ex Arsenal keeper Graham Stack who showed a smidgin of gamesmanship slowing the game down, having a drink and attempting to put Mooney off. Sadly it worked as Mooney’s effort was fairly dire and sailed wide to the bewilderment of most of the home crowd. On 35 minutes former Orient youth prospect Obileye should have made the O’s pay but he headed wide from close range. Danny Hollands joined Wood in the book for a poor tackle on Dayton on the half way line as the winger looked trouble for Eastleigh. Yeates showed his class on the right and ran at Lawless before the O’s midfielder struck a leg out and brought down the Eastleigh man inside the area. A penalty without a doubt. Right back Obileye stepped up and coolly slotted home in the second minute of additional time to put Eastleigh in front at half time. Eastleigh had a couple of chances early in the second half but the last 30 minutes belonged to Orient trying to batter the door down on Eastleigh’s defence. Orient produced some excellent football and in the 64th minute Clay played a lovely ball in behind the Eastleigh defence, but Jake Caprice’s touch was heavy and he could only win a corner after clashing with Stack who fell heavily to the floor and required extensive treatment. Josh Koroma and Rommy Boco were summoned off the bench to replace Mooney and McAnuff but Chances were running out for Orient. Orient started to pile the pressure on, as Koroma saw a shot blocked before Dayton won a second corner in quick succession. Bonne headed the second set-piece wide though, with Eastleigh continuing to defend strongly in east London. However deep into added time mainly for Stack’s injury the O’s saved the day with Clay’s drilled shot finding a deflection and trickling over the line in the late late show. One player not involved against Eastleigh was left back Christian Scales who has joined Bostik Premier side Harlow Town on a one month loan deal. 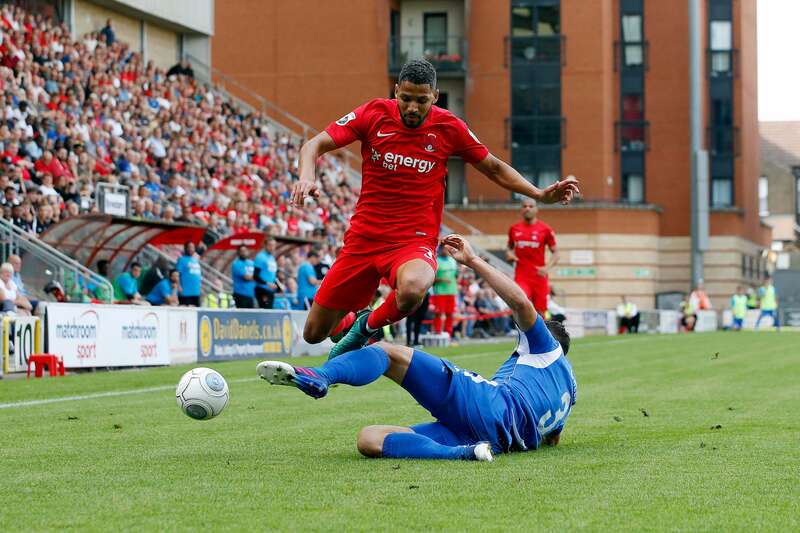 Manager Steve Davis’ focus will be on the players still at Brisbane Road and he is set to rotate his squad over the next few days as the next game for Leyton Orient is as early as this coming Monday where they will play Maidenhead United. A point saved rather than two lost for the O’s.